So much for another record-setting day. The stock market's early gains evaporated like Italy's chances in the World Cup. 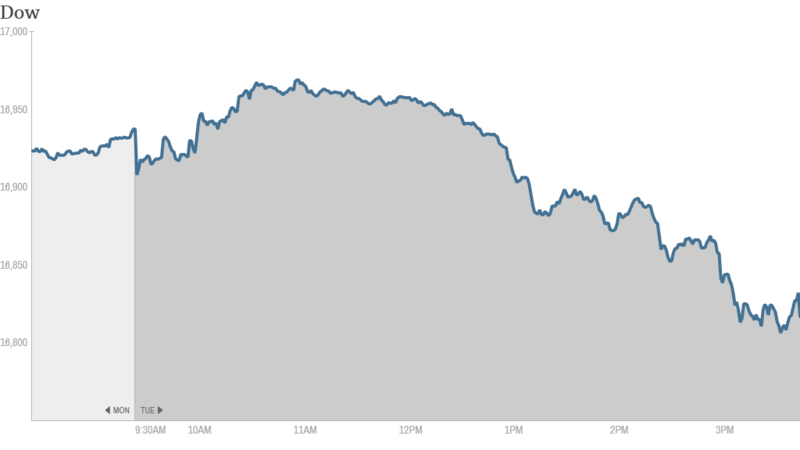 The Dow Jones industrial average ended the day down 119 points (0.7%). It was the biggest one-day percentage drop for the Dow in over a month. There was hope that the Dow would cross 17,000 for the first time this week. It's now down at 16,818. The S&P 500 and the Nasdaq both fell as well. The reversal came as Italy suffered a biting defeat to Uruguay in the World Cup, ending the Italian team's hopes of advancing in the global soccer tournament. Economic news not good enough? A key measure of consumer sentiment rose to the highest level since January 2008. The Conference Board's index of consumer confidence increased to 85.2 in May from 82.2 in April, suggesting that Americans remain optimistic about the economy. But it wasn't enough to lift stocks. Home prices nationwide continued to rise in April. The S&P/Case-Shiller index measuring the value of residential real estate in 20 U.S. cities increased 1.1%. Separately, the government said sales of new homes rose more than 18% in May from April. "The new home sales data and consumer confidence were very, very strong," said Randy Frederick, a managing director at the Schwab Center for Financial Research. "The market is not rallying in a big way, but given the run we've had that's not surprising." Related: Will the Dow crack 17,000 this week? 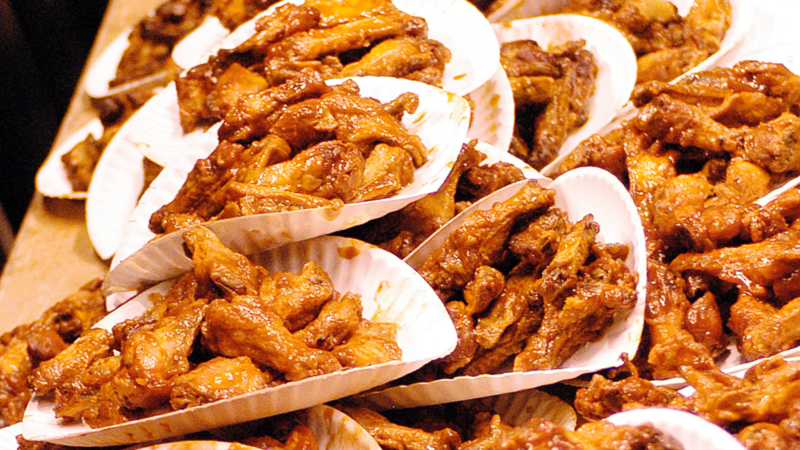 Stocks to watch -- Buffalo Wild Wings, Carnival, Walgreens: The World Cup has been good for business at Buffalo Wild Wings (BWLD), according to one analyst. Shares of the sports-themed restaurant chain jumped 6% Monday after an analyst at Wunderlich Securities increased his price target for shares after seeing all the standing room only crowds for at "B-dubs" at recent games. But the stock fell 2.4% Tuesday as the enthusiasm waned. Carnival Corp (CCL)reported quarterly results that topped expectations, but the company's forecasts for the rest of the year weren't as rosy. The stock dropped 3%. The cruise line operator blamed fuel prices and currency exchange rates, which it said will reduce earnings full-year by 6 cents per share. Walgreens (WAG) said earnings rose nearly 16% in the first quarter, but the results missed analysts' expectations. Shares fell more than 1%. You might not have heard of Vertex Pharmaceuticals (VRTX), but it's worth looking up today. Shares soared 40% after the company said a study of its cystic fibrosis drug produced positive results. Groupon (GRPN) was another company that managed to avoid the discount slashing today. Shares were up 4.5% on an upbeat analyst report. Dubai enters bear market. Stocks in Dubai have been battered by concerns about the growing turmoil in Iraq, where insurgents have been gaining ground in the oil-rich nation. Shares of Arabtec --a major construction company responsible for building the Burj Khalifa -- have also been sinking, adding more concern about the Dubai market. The Dubai DFM General index plunged more than 6% overnight. It was the worst one-day drop since October 2008, according to a note from analysts at ETX Capital. The index is down more than 22% so far this month, putting the Persian Gulf Emirate in a bear market. "There is a possibility that traders are liquidating positions as a result of the current situation in Iraq which has eaten at sentiment in the Emirate region," the analysts wrote. Abe lets another arrow fly in Japan: Japan's government has released details on the third and final phase of Prime Minister Shinzo Abe's ambitious plan to jolt the country's economy out of stagnation. Companies may pay less tax as a result, but the response in the stock market was muted. The Nikkei ended flat. The ruble and Moscow stock index were stronger, continuing their recovery from sharp losses earlier this year as fears about an escalation of the crisis in Ukraine fade. A ceasefire between government forces and pro-Russian separatists declared last Friday appears to be holding. Sentiment was also improving after Abbott Laboratories (ABT) said Monday it would buy Russian pharmaceutical company Veropharm for as much as $495 million, underlining the waning threat of sanctions.